Microsoft's launch of the free version of its collaboration application, Teams coupled with the key feature of unlimited chat messages, is perhaps a take-on on Slack, as the company also looks to hook up small businesses. While Slack free version limits users to 10,000 chat messages; Teams on the other hand offers unlimited messages, albeit the key selling point remains the number of users allowed, which is up to 300, and will suffice for most small businesses. 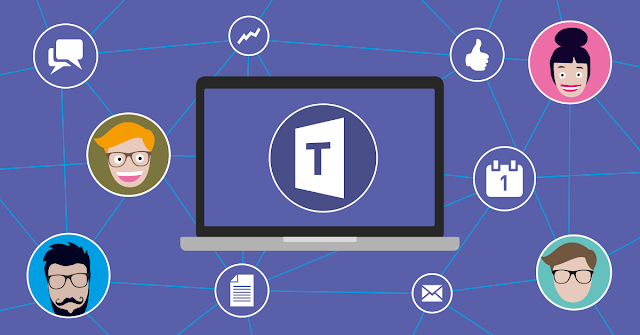 The company, however maintains that you don't have to be an Office 365 subscriber to experience the power of the Teams, even though some key features are for the paid version of the software, which is bundled into Office 365. Microsoft has also made its Whiteboard app, which offers related features with OneNote, such as the ability to create machine-generated flowcharts and charts from inked shapes available for Windows 10. It's all part of its strategy to hook smaller businesses on the service, as it aims to establish Teams as a repository for documentations that any team needs to work on the platform. The addition of about 140 business apps within Teams, and the available 2GB/user file limit means ample storage for each user. Teams pro version offers up to a terabyte of storage, and comes as part of Office 365, with video chats replacing the standalone Skype for Business application, which can be stored in the cloud, and provides automatic captioning. Microsoft will be adding support for facial recognition, and to allow viewers a public preview of live events, and video broadcasts which can also be transcribed, archived, and timecoded, this summer.